W2MEDIA.ORG | Democracy North independent Canadian news hour broadcast on Vancouver Co-op Radio 100.5 fm LIVESTREAM – Airing live at Tuesday, Jan 30, 2018, 5pm PST. The company responsible for the Mount Polley mine spill—one of the largest environmental disasters in Canadian history—has found out it’s not going to face any charges in British Columbia. BC is #2 (after China) with the world’s worst records of dam breaks and mining spills. And then there is the BC government’s Site C decision with the public subsidy for free market industrial power. 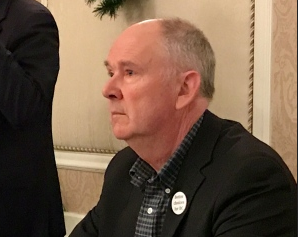 The controversial approval by the BC NDP of Site C, the Liberal’s pet project, turned many heads and upset NDP grassroots and created a feeling of anger amongst Green Party voters. BC has a dam problem and it’s not limited to one project, and critically important to consider with a view to history… colonial history. Land management history that has, at it’s core, Indigenous displacement and land grabs. Profiting wealthy white men like Imperial Metals’ CEO who lives overseas to avoid paying taxes to British Columbia and Canada. Imperial had an intimate relationship to the previous government. The current government chose not to prosecute provincially and the opportunity to get paid back the millions pf dollars the province has spent on Mt. Polley. Perhaps not all so strange when one considers the century and a half of colonialism which continues today. Let’s be honest here. 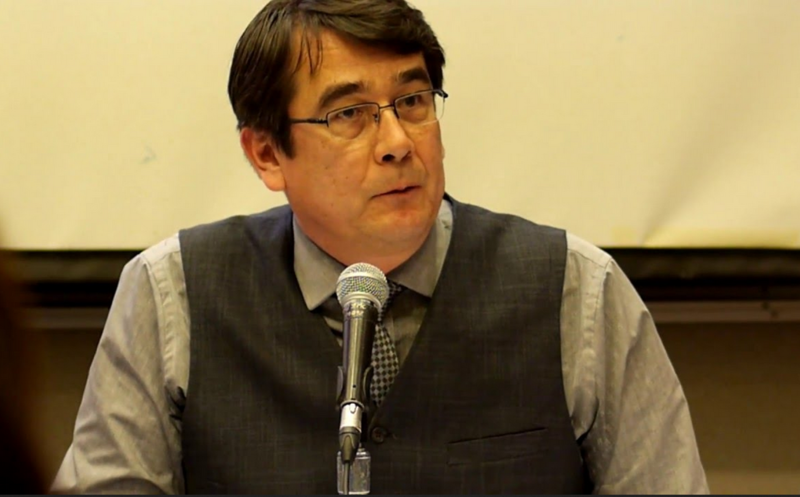 3:00 Bob Chamberlain Vice President of the Union of BC Indian Chiefs, Bob Chamberlain on UNDRIP and Site C and BC NDP. Doug Gook, BC Environmental Network breaks down analysis on SiteC opposition. Doug is a 3rd generation settler lived all his life in the Quesnel River watershed. 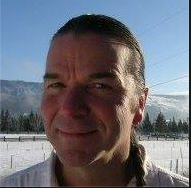 Dr. Steve Gray, chair of the Peace Valley Solidarity Initiative and convenor of the recent Site C Summit in Victoria. 26:00 Seth Klein of the Canadian Centre for Policy Alternatives (CCPA) on the economics of termination of Site C.
31:00 Dam Propaganda by Woodie Guthrie – The pay was $266 for a month of work—good money in 1941, and really good money in any era for folk songwriting. When the Department of the Interior offered folk singer Woody Guthrie a job writing songs about the Columbia River and its dams, he took the Government propaganda—it seems even his voice was for hire. It speaks to the culture at the roots of settlers both in Washington State and in BC. Dams were seen as progress irregardless to the Indigenous cultural genocide they generated as a byproduct. The company responsible for the Mount Polley mine spill—one of the largest environmental disasters in Canadian history—has found out it’s not going to face any charges in British Columbia. Vice News reports that “The door closed once and for all last week when the BC Prosecution Service announced it was staying charges filed against Imperial Metals, the company by Bev Sellars, the former chief of the Xat’sull (Soda Creek) First Nation in whose territory the spill occurred. Back in August when Sellars realized the province wasn’t going to lift a finger to hold the company responsible for the spill, she decided she’d do it her own damn self and filed a private prosecution. Jacinda Mack is daughter of Bev Sellars, and is a member of the Secwepemc and Nuxalk Nations, in what is now known as British Columbia, Canada. She makes her home in Williams Lake, one of the communities affected by the tailings spill at Mt. Polley—Canada’s worst mining disaster. Mack is the coordinator of First Nations Women Advocating Responsible Mining (FNWARM), a coalition of women leadership dedicated to mining reform in BC. She has worked with First Nations communities on the central coast and northern interior of BC as a community organizer, researcher and self-government coordinator regarding First Nations territory-related issues. Mack holds a Master of Arts degree from York University’s Communication & Culture Program, and a Bachelor of Arts from the University of Victoria. A spokesperson for the BC Ministry of Environment, David Karn, said no one was available for the program today. He stated that the results of the ongoing investigation in BC will be considered at the federal level. 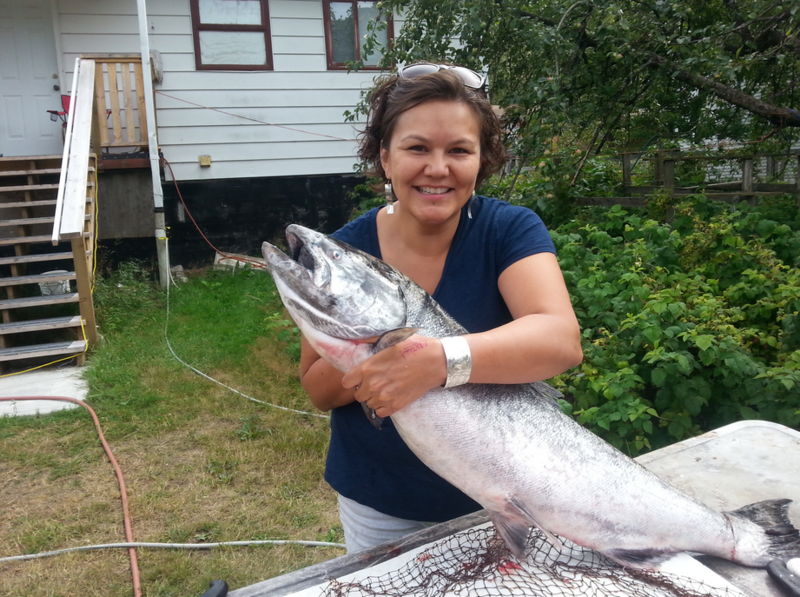 “The Public Prosecution Service of Canada will consider all of the information gathered during the course of this investigation, should charges be recommended under the Fisheries Act or other legislation,” Karn said in an emailed statement.